What a difference love can make in the life of an animal. 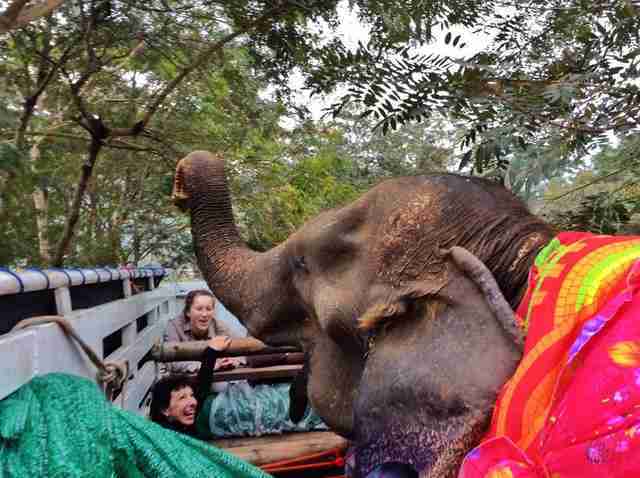 Earlier this year, an elderly elephant named Saza was saved after a lifetime of forced labor at a trekking camp in Thailand. By the time she was rescued, the 70-year-old female was covered in open wounds and severely malnourished, her sunken cheeks and sagging skin a sad testament to her suffering. 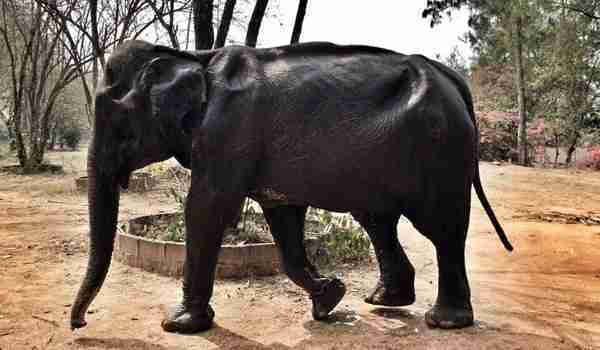 Saza soon found reprieve, however, as she was whisked away to a better life at Elephant Nature Park (ENP), a sanctuary for rescued pachyderms. And with that first act of human kindness, things steadily began to change. 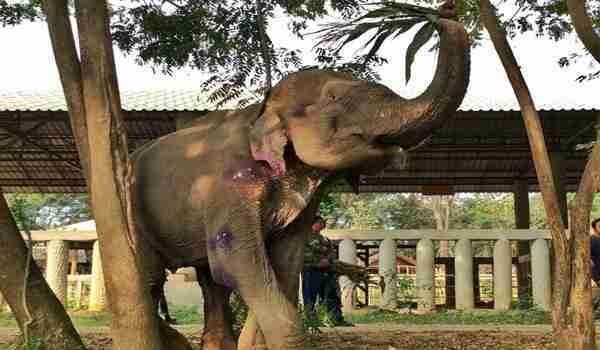 Upon starting her new life on the sprawling sanctuary grounds, the old elephant who'd experienced so much pain seemed to understand that those days were now behind her. 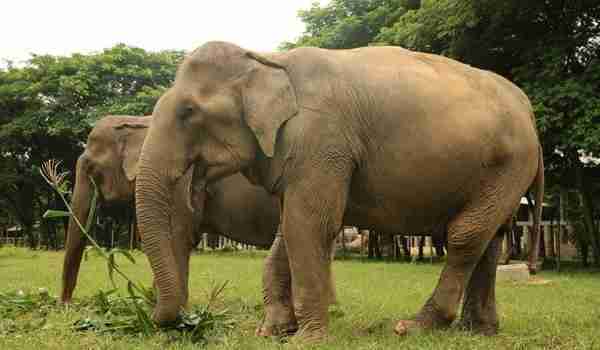 "Finally, Saza arrive our park safely and it seems she's exciting and curious," ENP wrote at the time. "We let her have a free [walk] to observe and she [picked] up the leaf to eat by herself. We are really happy to see that she can walk and eat, when we look at her face we think she is smiling. She may know this is her forever home to live with freedom." Returning Saza to a healthy weight was the first step on the road to her recovery. Eating vegetation was made difficult due to the fact that she is missing many of her teeth, so sanctuary staff prepared for her a special menu of fortified rice, soften pumpkin, along with easy-to-chew leafy greens and fruit. All this, of course, served with a dash of love. Saza clearly approved of her new culinary options. 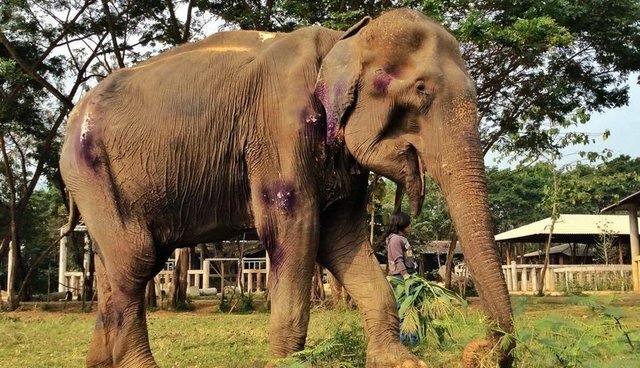 "She can get [love] and care from our herd, this is the best healing for Saza to forget the past and brighten the rest of her life here at Elephant Nature Park." It's been just over seven months now since Saza was first rescued from her former life to, at long last, be treated with the dignity and respect a grand old dame like her deserves. 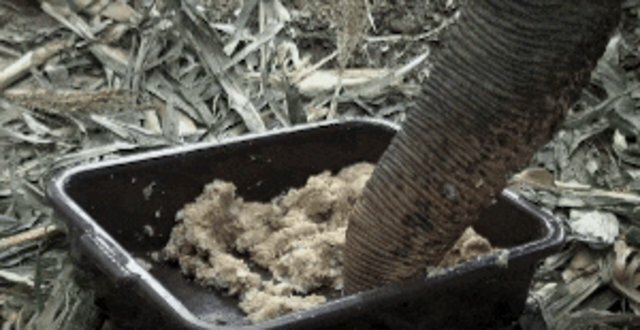 Amazingly, even now well into her Golden Years, the elderly elephant looks healthier and more radiant than ever. 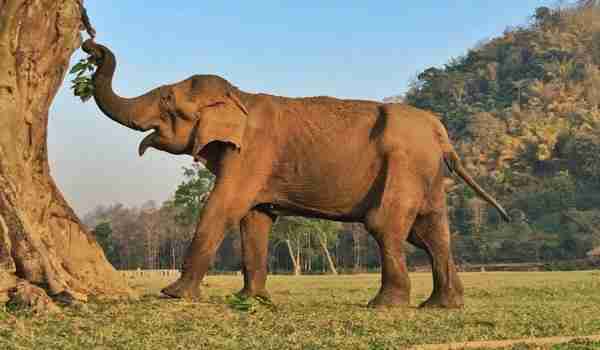 "You may not believe this is the same elephant after you see the picture before and after such short time," ENP founder Lek Chalet wrote, sharing the welcome update on Facebook. A remarkable transformation, all thanks to "love and appropriate care." 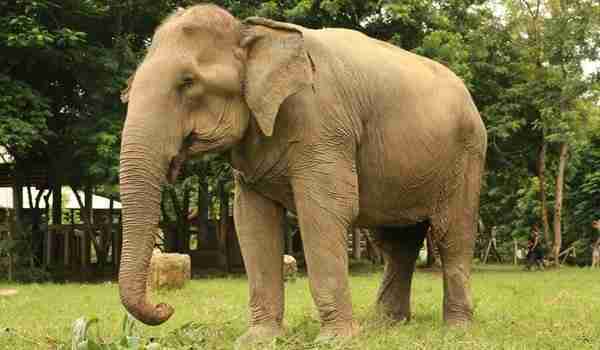 To learn how you can help animals like Saza at Elephant Nature Park, visit the sanctuary's website here.